Universal Enterprises, Inc. is a leading manufacturer of portable testing and measuring equipment. UEi has since strategically re-defined and broadened its product line to offer quality and innovative products for the automotive industry. 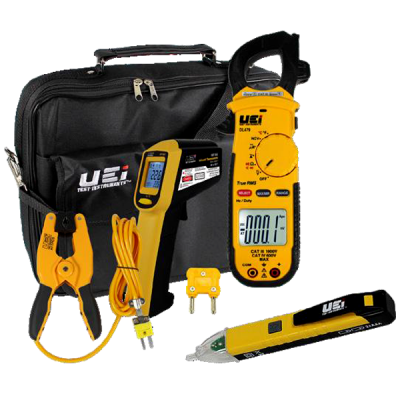 UEi backs these products with industry-leading warranties,professionalservice technicians, knowledgeable technical phone support, and prompt maintenance and repair turnarounds. Product Line: Clamp Meters Multimeters Labscopes Temperature/Humidity Testers Gas & Leak Detectors CO Detectors Gas Analyzers Specialty Testers Accessories..